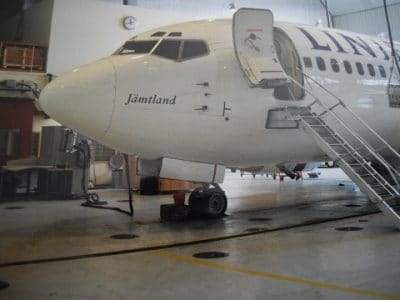 We have wide experience of applying resin flooring in the aviation industry including Skydrol/Hyjet resistant finishes, anti-slip maintenance docking platforms and heavy-duty anti slip finishes in engineering areas. Ashley Flooring have a thorough understanding of the need of the aviation industry including flooring that is resistance to aggressive lubricants such as Skydrol and Hyjet in addition to undertaking extensive line marking and demarcation colour schemes. 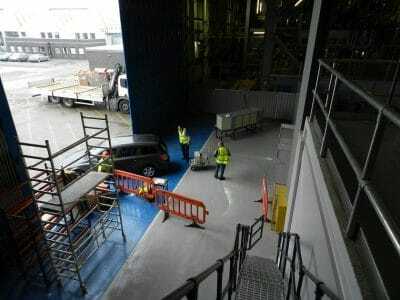 In addition to hangar floors, we undertaken resin coatings to areas such as vehicle decks and aircraft docking platforms. 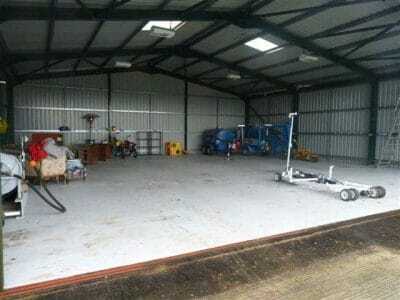 We have also undertaken extensive work in airports including areas such as cargo terminal floors, baggage handling areas and anti-slip areas in various airport environments. SAS Airlines, Arlanda Airport, Stockholm. click on image British Aerospace, Brough. click on image Goodrich Aerospace, Wolverhampton.